Dennis W. Slezak was born September 20, 1943 in Chicago to John and Ann (nee Polk) Slezak. 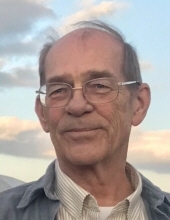 He died March 29, 2019 at Advocate Sherman Hospital in Elgin. Dennis enjoyed golfing, shooting sports, fishing with his best friend Danny and talking politics. Dennis is survived by John (Brenda) Slezak and Matt (Tricia) Slezak; his grandchildren Angelica, Nicholas, Tyler and Samantha; his sister Ruth Ann (late Bud) Collins; his ex-wife and biggest cheerleader Sandy Slezak and by his mother. Dennis is preceded in death by his twin brother Ken (Judy) Slezak and by his father. Visitation Friday April 5, 2019 from 3:00 PM until 8:00 PM at the Glueckert Funeral Home, Ltd., 1520 N. Arlington Heights Road, (4 blocks south of Palatine Road) Arlington Heights. Funeral service 10:00 AM, Saturday, April 6, 2019 at the Glueckert Funeral Home, Ltd. Interment Fairview Memorial Park in Northlake. "Email Address" would like to share the life celebration of Dennis W. Slezak. Click on the "link" to go to share a favorite memory or leave a condolence message for the family.